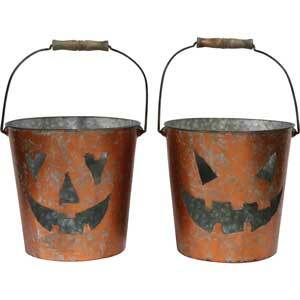 • Metal bucket has cutout Jack O’Lantern faces with wood handhold. • Measures 10.25”L x 9.50”W x 9”H. • 6 per case, $10.50 each.